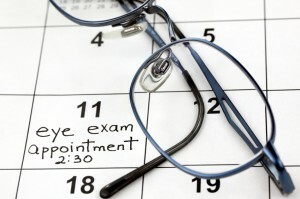 Parrelli Optical offers comprehensive eye exams in the Peabody, MA area for the whole family. As a top provider of vision care in the North Shore area, Parrelli Optical has over 40 years of experience helping patients select the best frames and contact lenses to suit their needs. Available brands include Bausch & Lomb, Acuvue, Oakley, Renoma, Intrigue and Viva. Eye exams are performed by Independent Doctors of Optometry at the clinic, many of whom have years of experience diagnosing and treating common vision issues. The eye care professionals also treat patients for eye allergies, dry eyes, corneal reshaping and pre/postoperative LASIK care. Parrelli Optical now accepts several insurance plans, including BlueCross/BlueShield, Fallon, Harvard Pilgrim Health Plan and MassHealth. Contact lenses are medical devices that require the patient to undergo a special fitting. Parrelli Optical has access to lenses that are designed to correct many types of vision problems. Although soft lenses are the most popular, we also provide gas permeable and hybrid lenses. Children can also wear disposable lenses at young ages with some prior training. As a family company, Parrelli Optical is managed by John and Jonathan Parrelli, licensed opticians in the state of Massachusetts. They are current members of the Opticians Association of Massachusetts and the Contact Lens Society of America. Those interested in scheduling eye exams in Peabody, MA are encouraged to call or email Parrelli Optical for prompt service.